Club activities are generally graded on a scale of 1 to 6. 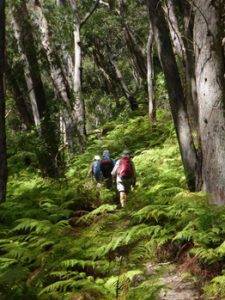 The descriptions below only refer to bushwalking trips. Where these grades are applied to other activities (eg. cycling) the descriptions no longer apply but a similar level of fitness and experience is required. See the grading section for each of the other activities. 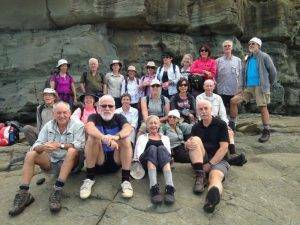 Start with a Grade 1 or grade 2 walk if you haven’t been on a full day bushwalk before. Start with a Grade 3 or Grade 4 day walk if you have some experience. These require more experience and fitness than day walks of an equivalent grade so try some day walks of a higher grade before attempting an overnight walk. Grading is subjective and cannot take into account all possible factors so if you are uncertain about the grade, the experience and fitness required or the terrain, ask for advice. Club activities are generally graded on a scale of 1 to 6: On an activity Graded 4 or above you could encounter off track sections and/or exposed areas at any time. Some activities come with more risk than others. An Activity Organiser may exclude any participant who may have difficulty completing the planned activity. Easy (1): Opportunity for large number of walkers, including those with reduced walking ability to walk on wellmarked and even tracks. Tracks are manmade and may have a few steps. Should not be steep. Suitable for beginners. Distance should not exceed 10 km. Easy walk, mostly on tracks of low gradient. Opportunity to walk easily in natural environments on wellmarked tracks. Tracks should not be steep. Distance should not exceed 15 km. Some hilly sections &/or rougher terrain. Opportunity to walk on defined and distinct tracks, with some steep sections you will require a reasonable level of fitness. Distance should not exceed 20 km. Steeper, rougher terrain & may have off track sections (up to 50% or more,depending on terrain) or a longer distance track walk. Opportunity to explore and discover relatively undisturbed natural environments, mostly along defined and distinct tracks. Tracks can be steep.There may be short sections of rock scrambling involved. Activity Organisers should have map reading abilities and/or the ability to use a compass. Distance depends on circumstances. Not suitable for beginners. Strenuous walking over difficult terrain, much of which can be unfamiliar. Only suitable for fit and experienced walkers possessing navigation skills. Many people who haven’t walked off track before find the these walks extremely difficult. 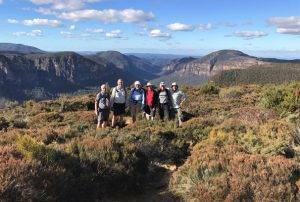 The descriptions above refer only to bushwalking trips. Where these grades are applied to other activities (eg cycling), the descriptions no longer apply but a similar level of fitness and experience is required.